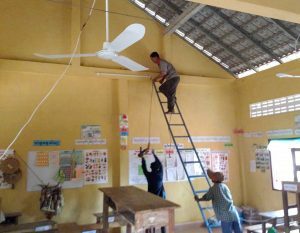 Each year, we budget for community improvement projects – like renovating and improving the schools, adding toilet buildings, electricity with lights and fans, and fences. We frequently repair schools that are flooded during the annual rainy season. 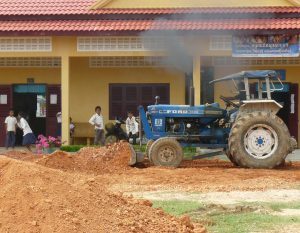 We rebuild roads leading to the schools. Unless the roads are maintained, the children cannot walk or ride their bikes safely to the school. 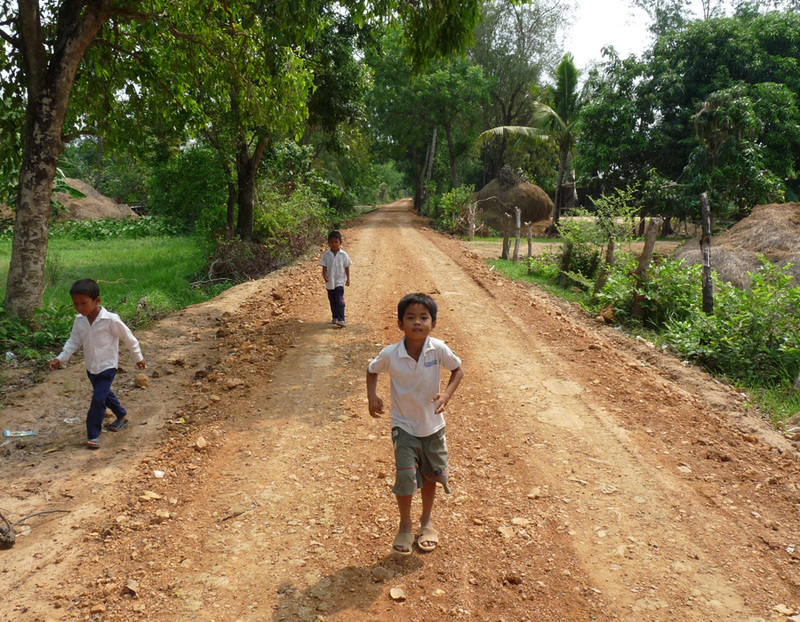 One critical road project was repairing a major road so the children didn’t have to wade through knee-deep water during the annual monsoon. One of our community improvements was to install street lights so our English language students don't have to walk or ride bikes home in the dark. 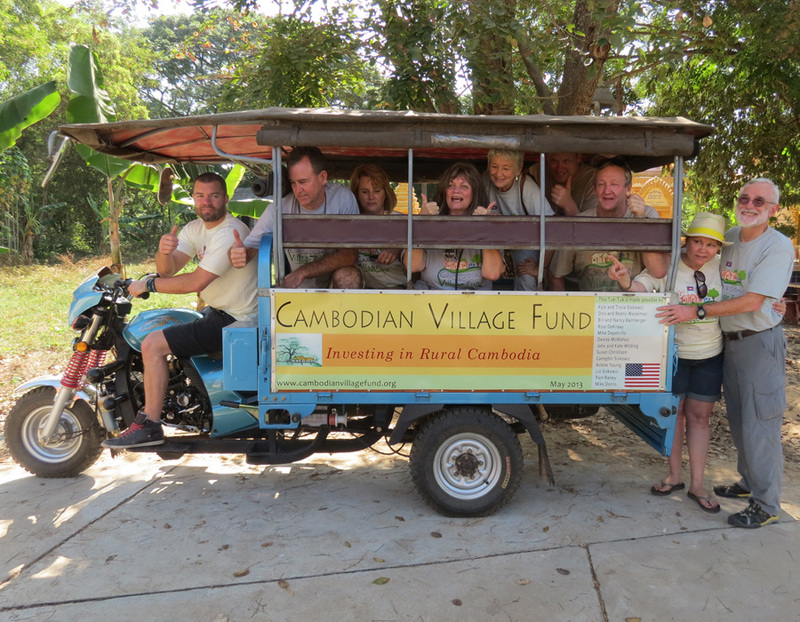 Another community improvement was a tuk-tuk, purchased by a group who traveled to the village in 2013. In a village with limited transportation, this tuk-tuk is a life saver because it is used to take the villagers to the district health centers in Battambang. Before the tuk-tuk, people died because they had no way to get to a hospital. 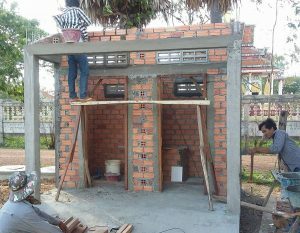 Overcoming poverty is not a task of charity; it is an act of justice.